We welcome new enthusiastic, ambitious, and talented IT-professionals to join our growing team. SVEAK is hiring! 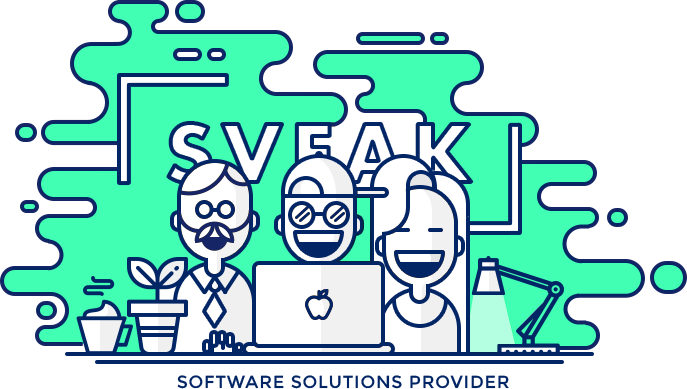 SVEAK is well-known for successful web project development of any complexity owing to the highly qualified team of IT-professionals. Our motto is customer focus and careful working on details of the project in development. Continuous improvement of our team’s professional skills and self-development allows us to guarantee the ultimate achievement of our goals. Our rapidly expanding company is always pleased to welcome responsible and proactive IT-specialists who are ready to unleash their potential and overwhelm us with new ideas. If you are a true professional in the world of IT-technologies, looking to work in a friendly team of young professionals, please send your CV at . Taking care of your health, our company offers fresh fruit, beverages (team coffee, cocoa, etc. ), and other daily treats. There is free parking available on the premises. International business fairs, conferences, seminars. We also offer a well-developed system of bonuses and perks. Regular corporate and team-building events. Refresher courses and much more! Foreign candidates will be assisted with relocation (flight tickets, accommodation, sign-in bonus). optimization of web applications, development and implementation of visualisation and monitoring tools. advising PO developers on the realisation specifics of business logic in databases. setting monitoring options for selected servers and services.